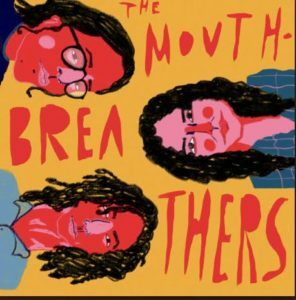 Review: The Mouth-Breathers • Tips, Trends & News in 60 Seconds or Less! Lately the only music on the radio has been pop, R&B and electronic. It’s become a really big deal to discover small bands with great music, as it seems like rock music is slowly dying in our generation. With lyrics including, “Everyone left but you stuck around/ The best part I wouldn’t miss was seeing your bright blue eyes,” the EP contains lyrics by an ex-band member who wrote these songs based on events going on in her life. It’s real and raw to see emotion in songs, especially with the piece’s tranquil rhythm that also embraces the band’s alternative instrumental sound. The meaning of this song speaks to those who have changed themselves for the benefit of others, much like Sandy at the end of Grease. While one changes themselves and may experience personal growth, they can begin to lose themselves as well. This song has an angry feel to it that is released through the drums and guitar chords scattered around the song. “Jason” is the album’s necessary song that really identifies the band as a whole. The catchy rhythm, the storyline within the lyrics, the guitar solo and the overall performance make “Jason” the type of song you can headbang and shout to at the top of your lungs without judgment. To hear what I’m talking about, check out the Mouth-Breathers EP, available on both Spotify and Apple Music.